Within the past two weeks, Kesha has sued producer Dr. Luke for sexual assault and battery, and now 8+ women are coming forward to discuss their horrific encounters with Jian Ghomeshi. While I feel for the victims and wish for them to get the justice they deserve, I feel far more anger and disappointment toward all of us — the bystanders. The fact that we allow these things to happen and simply turn a blind eye, often continuing our interactions with these predators as if nothing has happened, is utterly depressing and disgusting. The worst part? It is to be expected, and none of it is shocking. Statistics show that we have all been there in a way or another — we have friends or loved ones who have gone through similar situations, or we have tried to sweep incidents under the rug, often because “it is not our business to get involved or comment on the situation,” making victims feel marginalized, lonely and hopeless when they should feel anything but. 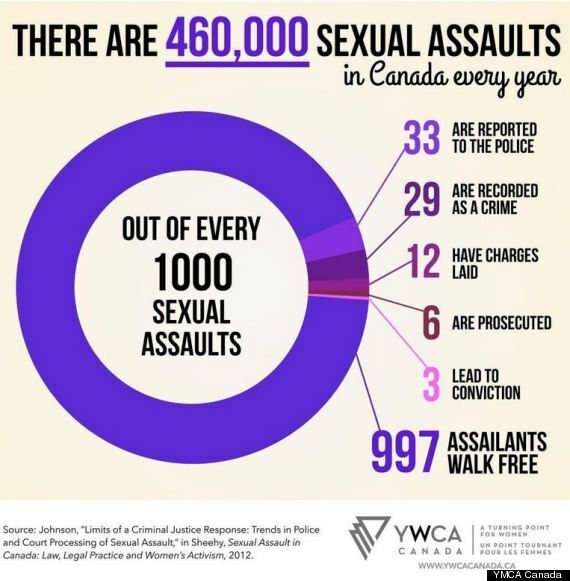 We need to stop gravitating toward the myth that assault accusations are often perpetrated by scorned women against nice guys who do not deserve it, or that certain things are just “guy things and no harm was meant cause boys are just going to be boys.” We need to take into account the fact that assault and harassment happens regularly, and that will never change until these predators, who are often friends of yours and mine, are the ones who feel the shame, guilt and isolation. Please stand up for your fellow colleague, friend, acquaintance or what-have-you, not only because they are someone’s sister, daughter or mother, but because they are a human being. Why is the Music Industry Hurting Those Who Make It Possible?